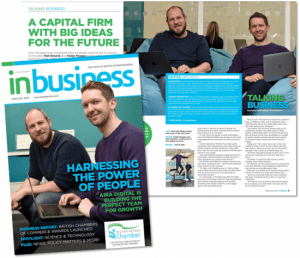 Inbusiness is a bi-monthly publication and digital magazine created by distributed to over 3,000 business contacts in and around Milton Keynes. 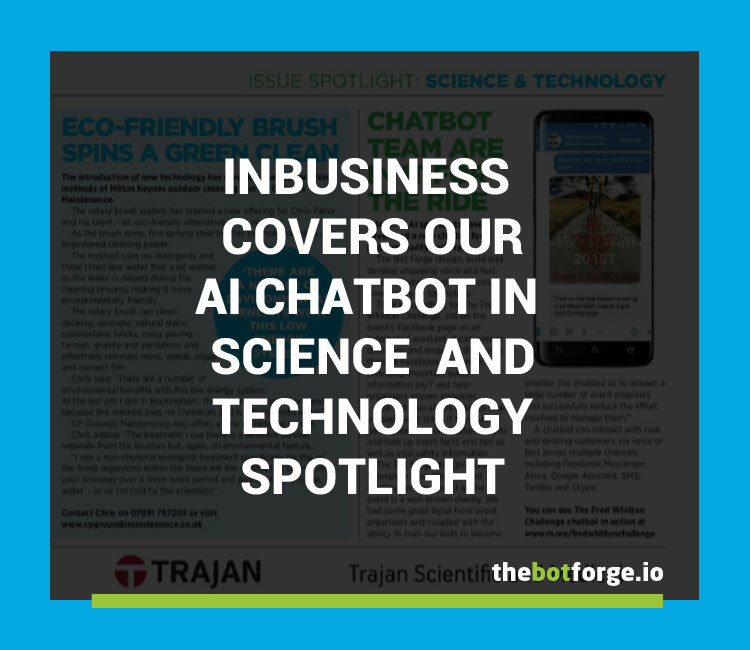 The June/July 2018 issue spotlight was science and technology so it was great that the editors of the magazine wanted to cover our Fred Whitton Challenge ai chatbot, particularly when the ai chatbot was created to assist the organisers of a charity ride. You can learn more about our chatbot agency here. We also cover further technical details about the project here. In the wake of the Cambridge Analytica scandal Facebook announced late in March that it was pausing its app review process, which meant developers were no longer able to launch new apps or chatbots on the Facebook ecosystem. 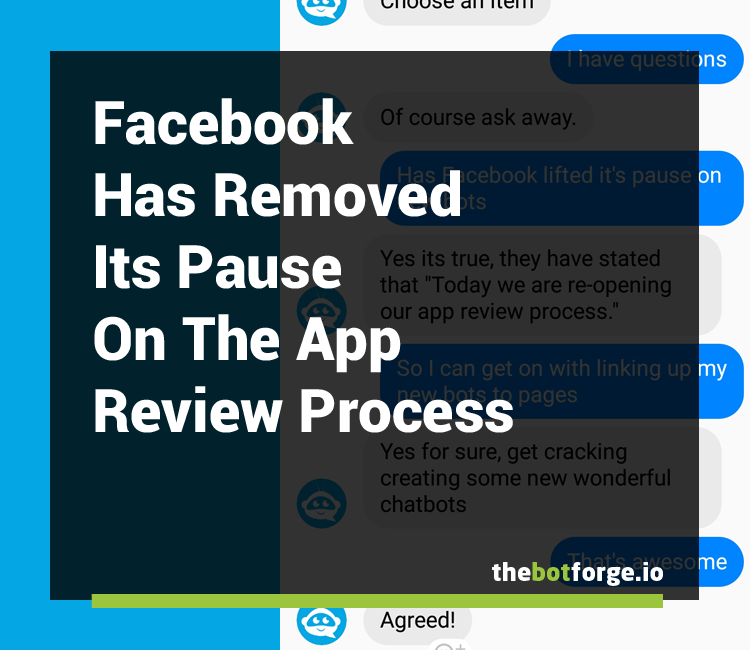 True to their word the pause has only been a few weeks so its great news to hear that Facebook has re-enabled the app review process so that new chatbots can now be connected to pages and set live. Today we are re-opening our app review process. The process has changed a bit as we now require business verification for apps that need access to specialized APIs or extended Login permissions. Apps that ask for basic public profile or additional permissions, such as birthday or user friends, are not subject to business verification. You can read Facebook’s official statement here. The point has to be made however that this is a helpful reminder to not be reliant on a single platform. Particularly as Facebook has a habit of changing things. Facebook executives Campbell Brown and Adam Mosseri have also stressed the idea that publishers, at least, should not be too tied to Facebook while speaking at Recode’s Code Media conference. If users find the whole experience too unsettling then Facebooks answer is “If anyone feels that this isn’t the right platform for them, then they should not be on Facebook,” Brown told Recode. Here at The Bot Forge its good news and we are pleased to be able to get cracking building some fantastic new bots. Artificial Intelligence is talked about everywhere these days. In the news, media and extensively in science. We mention it a lot on our website and blog after all this technology is at the core of what we do at The Bot Forge. You may well have encountered some of the different terminology used. But what do developers and technologists really mean when they use these terms? Having a simple understanding of some of the more frequently used terms can be useful when thinking and talking about your chatbot strategy. 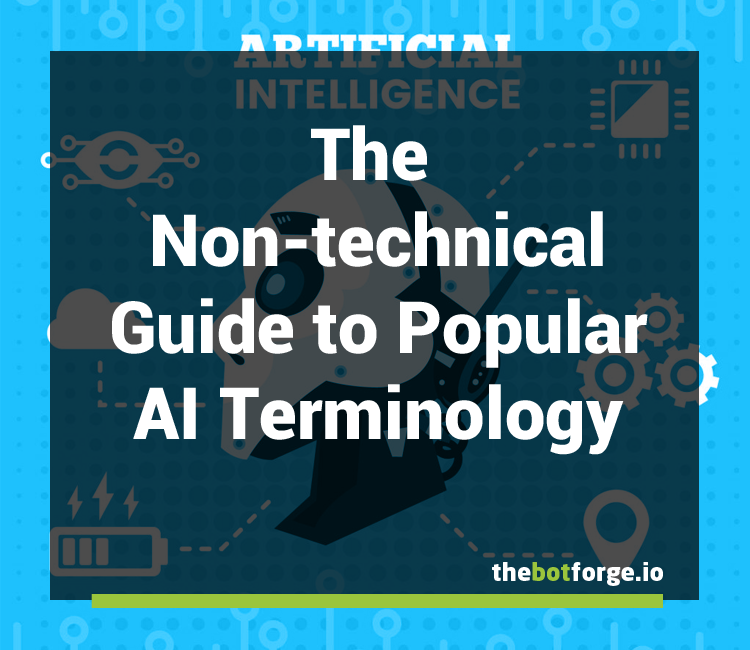 This AI terminology cheatsheet aims to help you understand; no technical knowledge required! An algorithm is a formula for completing a task. Wikipedia states that an algorithm “is a step-by-step procedure for calculations. Algorithms are used for calculating, automated processing and data processing and provide the foundations for artificial intelligence technology. Artificial Neural Networks or ANN are artificial replicas of the biological networks in our brain and are a type of machine learning. Although nowhere near as powerful as our own brains they can still perform complex tasks such as playing chess, for example AlphaZero, the game playing AI created by Google. Autonomy is the ability to act independently so software which can complete tasks on its own is autonomous for example systems which manage self-driving cars. Big data describes the large volume of data – both structured and unstructured – that floods through a business and its processes on a day-to-day basis. In the context of AI big data is the fuel which is processed to provide inputs for surfacing patterns and making predictions. I think we have mentioned these once or twice! A chatbot is a conversational interface powered by AI and specifically NLP. 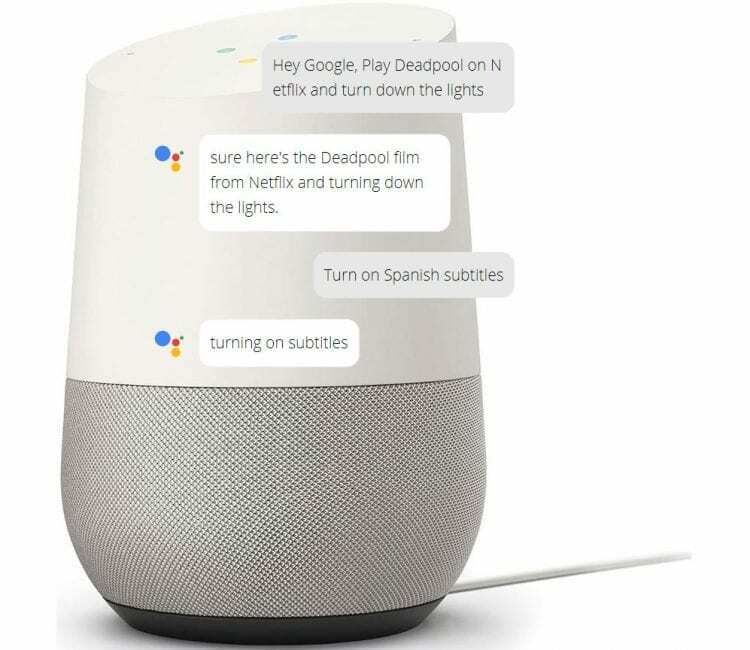 They can be text-based, living in apps such as Facebook Messenger or their interface can use voice-enabled technology such as Amazon Alexa. Cognitive computing mimics the way the human brain thinks by making use of machine learning techniques. As researchers move closer towards transformative artificial intelligence, cognitive will become increasingly relevant. Also known as a deep neural network, deep learning uses algorithms to understand data and datasets. Deep Learning is a subfield of machine learning concerned with algorithms inspired by the structure and function of the brain called artificial neural networks. Deep Learning techniques have become popular in solving traditional Natural Language Processing problems like Sentiment Analysis. Entities are also sometimes referred to as slots. An entity is used for extracting parameter values from natural language inputs. Any important data you want to get from a user’s request will have a corresponding entity. Entity extraction techniques are used to identify and extract different entities: Regex extraction, Dictionary extraction, complex pattern-based extraction or statistical extraction. For example, if asked for your favourite colour you would reply “my favourite colour is red”. Dictionary extraction would be used to extract the red for the colour entity. 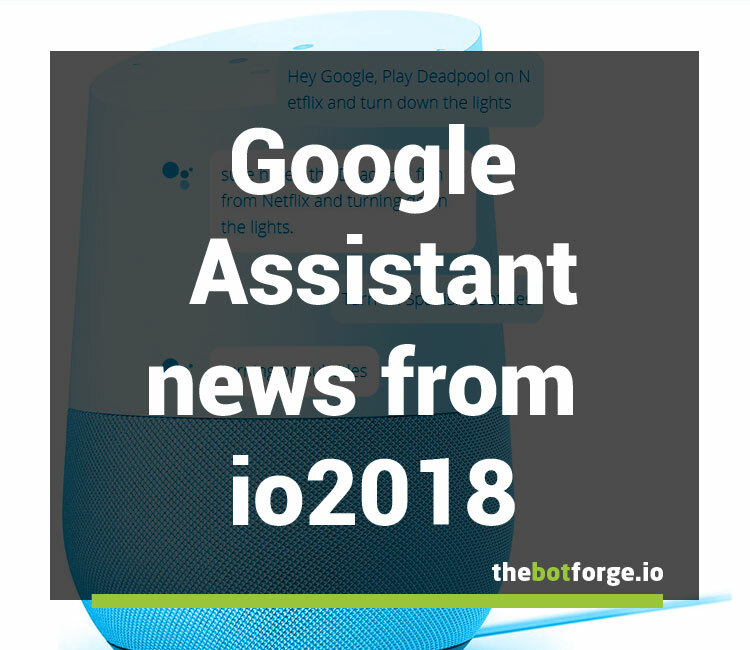 This term is often used to describe voice-activated assistants which perform tasks for us such as Amazon Alexa, Google Assistant, Siri etc instead of text-based chatbots. An intent represents a mapping between what a user says and what action should be taken by your chatbot. A good rule of thumb is to have An intent is often named after the action completed for example UserProvidedColor. Probably used by you every day in Google search for example or Facebooks image recognition. Machine learning allows software packages to be more accurate in predicting an outcome without being explicitly programmed. Machine learning algorithms take input data and use statistical analysis to predict an outcome within a given range. Machine learning methods include pattern recognition, natural language processing and data mining. Natural language processing (NLP) enables machines to understand human language. Machine learning is used to find patterns within large sets of language data sets in order to recognise natural language and aid machines in understanding sentiment so that they can respond correctly. Sentiment Analysis is the process of determining whether a piece of writing is positive, negative or neutral or more advanced analysis would look at emotional states such as “angry”, “sad”, and “happy”. An utterance is anything the user says via text or speech. For example, if a user types “what is my favourite colour”, the entire sentence is the utterance.